Sioux City is growing, and as such has now outgrown its Convention Center as it is, and needs some more options. Under the new management of Kinseth Hospitality Co., and is in the process of opening a five-story Courtyard by Marriot Hotel next door to the convention venue. This will also include some renovations to the Convention Center as well as a second-story parking deck. The hotel will offer 150 rooms, improved amenities and technology, full-service facilities, outdoor sitting and fire pits, and a 7,500 square foot ballroom that will be shared by the hotel and the convention center that is better suited for more upscale events and weddings. The intent of this new hotel and renovations to the Convention Center are to attract more events while also attracting more people from out of town to feed more money back into the Sioux City economy. A hotel not only encourages more people to come to events at the Convention Center, but the variety of event spaces ensures Sioux City will be a top choice for big events in the area. American Fence Company is proud of our role in building and expanding on Sioux City. 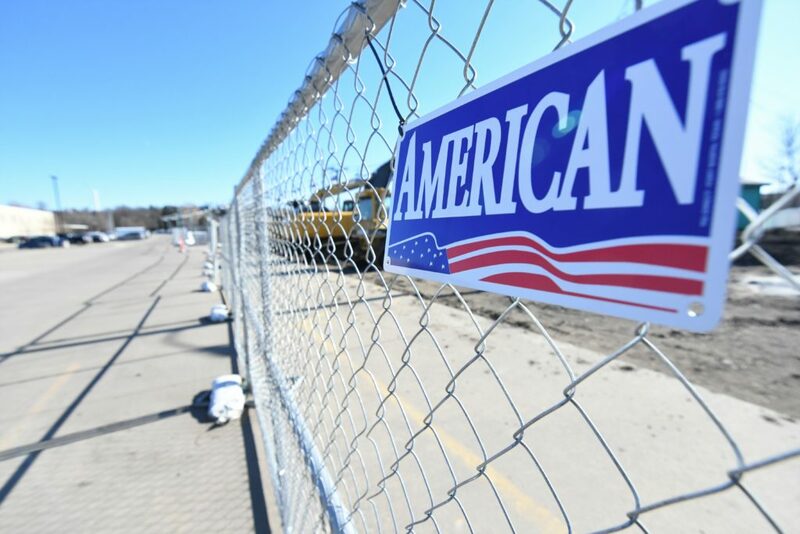 Not only is our Sioux City branch installing permanent fencing and gates for residential and commercial properties, but they also offer temporary fencing for construction sites and for different events and venues. To get a free estimate for your own project, please call us today at 712-454-7732 or submit a quick and easy online request.